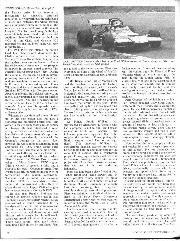 IN the latter half of the sixties, a handful of up-and-coming young British drivers were making their marks in the junior single-scater categories. Some were destined to fall by the wayside, either through loss of career impetus or injury, while a handful actually made it onto the lower rungs of the Formula 1 ladder. This was an era in which Jim Clark, Graham Hill and Jackie Stewart were blazing their trails of success across the Grand Prix record books and everybody recalls their success. 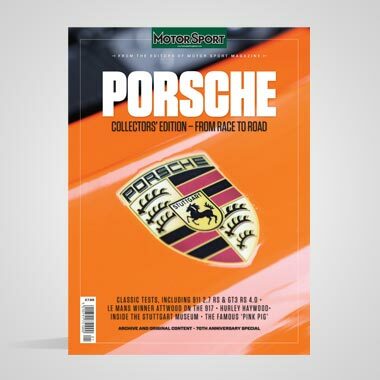 But how many MOTOR SPORT readers remember she youthful names such as Robin Widdows, Jonathan Williams, Charles Crichton-Stuart and Chris Irwin. All of them are still alive today but, with the notable exception of Charlie, they are involved in business activities outside the motor racing arena. And, of course, there was another name, tipped by many for the big time and, perhaps, on his way there when he met his untimely death on lap 22 of the 1970 Dutch Grand Prix at Zandvoort. The man we are talking about was the talented, stylish and charming eldest son of the Chairman of one of Britain's biggest brewery dynasties — Piers Courage. Eton-educated Piers first developed his obsession for motor racing whilst undergoing his stint at that hallowed English seat of learning, occasionally nipping off for unofficial visits to Silverstone with fellow pupil Charles Lucas, later to become one of the crucial figures who helped shape his racing career. Piers subsequently went through the motions of taking up respectable and gainful employment when he became an articled clerk to a firm of accountants after he left Eton, but it did not take many months before he realised that he was not cut out for a conventional office-bound career. 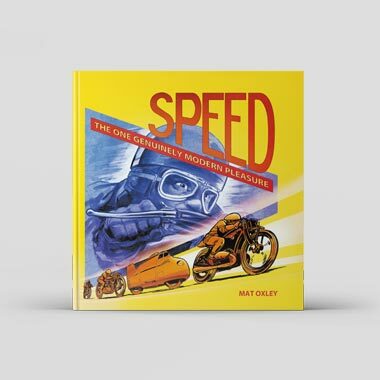 Sensing where his true interest lay, and perhaps in an attempt to sate his enthusiasm in some small measure, his father actually purchased him a Lotus Seven in kit form towards the end of 1961. 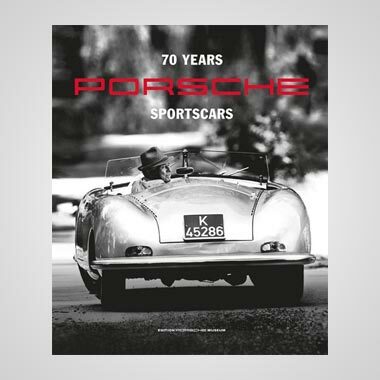 Piers and some friends worked hard assembling the functional sports car and in the spring of the following year he had his first race in the car, at Brands Hatch. He took part in several club events during the course of that season, but he was rewarded with an overwhelming shortage of success: legend has it that he spun almost 30 times at one particular meeting! Clearly, his somewhat extrovert, wild streak was manifesting itself in his approach to driving racing cars. For the 1963 season his friend Jonathan Williams suggested he acquire a Merlyn sports car from the small Colchester-based constructor, but his accountancy examinations were lacking and there was no way in which he could raise the necessary cash at the time. However, although this looked as though it might be the end of Piers' fledgling ambition, professional considerations eventually found themselves eliminated from his own personal equation. He took the decision to give up any pretence of becoming a serious, perhaps even staid, accountant and embarked on season of European Formula 3. In the mid-sixties, the Continental F3 circus had a totally different complexion about it compared with today's European F3 contest. There were dozens of small races at spectacular road circuits all over the place and it was quite possible to eke out a precarious hand-to-mouth existence if you were prepared to drive your VW pick-up carrying your clapped-out Lotus, Brabham as Cooper to such far-flung outposts as Brno in Czechoslovakia, Schleizer-Dreiack in East Germany or one of the host of French and Italian circuits. Dozens of aspiring World Champions, armed with little more than optimism and a basic knowledge of mechanical improvisation, embarked on such programmes — and several made their reputations in the process. Unquestionably, they were golden years for Formula 3. . . Piers teamed up with his friend Jonathan Williams, who nowadays flies executive jets for Swiss businessmen from the Cote d'Azur, and the pair of them set off with a pair of Lotus 22s to try their luck. The cars were towed round behind an old Ford Zephyr and, after a succession of accidents, the chassis of Piers' car was unbent that the only way to straighten it out at Monza was to lean it against the pit wall and drive the Zephyr slowly into it! Charlie Crichton-Stuart recalls: "I remember one time when we were coming back from Enna and I was following Piers in his Zephyr. He was driving with one foot on the dashboard, reading a book at the same time! It was swelteringly hot, of course, and eventually he dozed off at the wheel. The Zephyr gently edged across and began tapping the barrier. He woke up with a start and started to pay attention!" That season with the impressively-titled Anglo-Swiss Racing Team, as the two young men named their outfit, brought with it little in the way of hard success although Piers led his first race in the 22. That was on the splendid Nurburgring South circuit, much of which has been bulldozed into distant memories to provide the foundations for that monumental folly, the sacrilegiously-named "new Nurburgring". They may not have enjoyed much success, but they had a grand time and, when not away racing, occupied a riotous and notorious motor racing flat in Pinner Road, Harrow which was shared with such luminaries as Crichton-Stuart, Bubbles Horsley, a penniless Frank Williams and Charles Lucas. One of the occupants' principal recollections of that disreputable haven was the time that Bubbles Horsley bet Frank Williams that he wouldn't "streak" down the garden one Sunday morning for a certain sum of money. Frank, starkers, was halfway down the garden before he realised that the congregation was just emerging from an adjacent church — and by the time he sprinted back to the house, Bubbles had locked the door! For '65 "Charlie Luke" decided that he would field his own team of Brabhams for himself, Piers and Jonathan Williams. Cutting a dash with their young drivers all decked out in colour-coded red, white and blue overalls to match the livery of the cars, Lucas Racing quickly established itself on the Formula 3 scene as one of the leading contenders. What's more, Piers Courage was the team's leading driver and, during that successful season, his Lucas Brabham took him to victories at Goodwood, Rouen, Silverstone and Caserta. More importantly, the Lucas team's standards of preparation and turn-out had attracted the eye of Lotus chief Colin Chapman. For 1966 Lotus was producing a brand new Formula 3 car, the pencil-slim 41, and Chapman came to a deal whereby Lucas ran the works entries. Top Grovewood Award winner Courage would lead the team, partnered with Roy Pike and occasional factory Lotus nominee Jack Oliver. He opened the '66 season by landing himself in hospital when he crashed during first practice for the opening Temporada round at Buenos Aires but was fully recovered for the start of the European season. Despite the fact that the 41 probably wasn't as good a car as the Brabham, Piers really reached the peak of his Formula 3 career in '66, triumphing at Brands Hatch, Albi, Pau and Rouen in addition to many major placings in the top three. He shared a Maranello Concessionaires Ferrari 275GTB at Le Mans and, by the end of the season, was recruited for 1967 along with arch rival Chris Irwin into the BRM team as "retained juniors", an investment for the future. Unfortunately Piers got a little carried at this stage in his career. 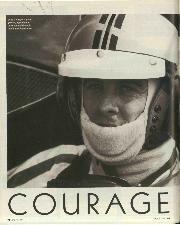 Most people acknowledged that the young Courage was probably the most aptly-surnamed person ever to enter the motor racing arena, bathe was trying to run before he could walk. Some preliminary outings at the wheel of a 2-litre BRM P261 in the Tasman series made the young Englishman look as though he was a major accident looking for somewhere to deposit itself. On his very first BRM outing at Teretonga he managed to spin on the opening lap right in the middle of the pack and things went downhill from that point onwards. Manager Tim Parnell put Chris Irwin in the car after Piers had done a couple of races, correctly reasoning that although Irwin might be slightly slower, he would keep the car pointing in the correct direction. Parnell was right! Piers was given one last chance to redeem himself with an outing in a 2-litre BRM in the Monaco Grand Prix, but he bounced it off the guard rail at Ste. Devote. That looked as though it might be the end of his Formula 1 career and, indeed, he was not to drive a Grand Prix machine again for a year. 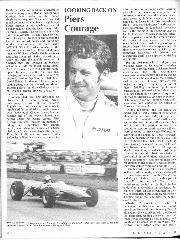 In Formula 2 life looked little rosier: he was handling a semi-works McLaren-FVA run under the banner of Guildford garage owner John Coombs. After several shunts the unfortunately apprehensive Coombs suggested that Piers might usefully give up motor racing before he hurt himself. By the end of that season there looked to be nothing left. Over the winter of 67/68, Piers had one last major gamble. 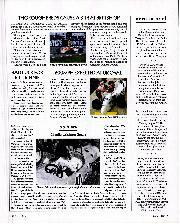 Financing the whole project himself, he took his F2 McLaren to the Tasman series in an attempt to re-establish his somewhat tarnished reputation. Driving with just the right blend of speed and restraint, the whole exercise was an unqualified success, rounding off the series with a memorable win in the rain at Longford. The fact that Courage's Dunlops were infinitely more suited to the torrential conditions than the Firestones on the Lotus 49Ts of Jim Clark and Graham Hill mattered not one jot. Piers' some was back in the frame. . .
For 1968 Piers was offered the second Gold Leaf Team Lotus drive after Jim Clark's untimely death in that minor Formula 2 race at Hockenheim but, perhaps fearing that the role as number two at Lotus had so frequently turned out to be a passport to oblivion in the past, opted to rejoin Tim Parnell's second-string BRM team. During the course of the season he put in several promising drives in a P128 V2 which was seldom a match for the works machine and, in Formula 2, he teamed up with Frank Williams to drive an absolutely immaculate Brabham BT23C in major European events. Always in amongst the quickest runners, the meticulously prepared dark blue car finished third at Reims, Albi and Hockenheim and second at Enna. Finally, at the end of that season's Argentinian Temporada series, Piers won his very last race with the BT23C at Buenos Aires. Williams by this time had drawn himself up by his boot straps and was now a respected and promising professional team owner; a far cry from those days of penury in Harrow. 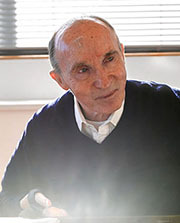 He had established a retail racing car business which flourished in the late 1960s and his organisation's reputation had been considerably enhanced by Courage's outings in his cars. Now, however, he was aiming at something more ambitious: for 1969, Frank would enter Formula land Piers would be his driver. As a muscle-flexing exercise, Frank first acquired a special Brabham BT24 in which Piers contested the '68/69 Tasman series using a 2.5-litre Cosworth DFW engine. With a victory, a second, a third and a fourth to his credit, Courage returned from Australasia suffused with optimism over the forthcoming 1969 season. Meanwhile, Williams had acquired an ex-works Brabham BT26 by a somewhat circuitous route and commissioned Robin Herd to adapt the formerly Repco V8-filled engine bay to accommodate a Cosworth DFV. The fact that Frank's Brabham was running on Dunlop rubber stuck in Jack Brabham's craw, particularly when Courage administered a sound thrashing to the Goodyear-shod works cars at Monaco and Watkins Glen, beating the Guv'nor himself in the latter event and showering him with dirt and grit in a style Jack himself would have been proud of in other circumstances! There were several other good places, including a fifth in the British Grand Prix, and to add to this senior success, Piers also triumphed at Enna at the wheel of Frank's latest F2 machine, a sparkling new Brabham BT30. In the Italian Grand Prix at Monza Piers held the Brabham in amongst the leading bunch, trading places with Jackie Stewart's Matra, Jochen Rindt's Lotus 49B and Bruce McLaren's McLaren, demonstrating a lately developed maturity and coolness under pressure. Only a fuel-feed problem dropped him from that group at the front, Piers eventually finishing fifth and losing out on a chance of being involved in that magnificent Stewart / Rindt sprint to the line which saw the Scot clinch his first Championship crown. At Monza Frank Williams was approached by Alessandro de Tomas° who had a proposal to put to him. 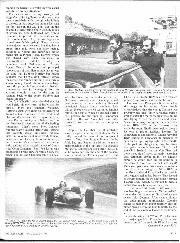 De Tomaso wanted to break into Formula 1 the following year and suggested that if he supplied the cars free to Frank, perhaps the English entrant would like to campaign them? This involved Williams in considerable financial expenditure because he had to find all the operating costs for the cars, but it seemed like a worthwhile project. Courage agreed to stay and drive the de Tomaso, throwing himself into the new project with all the characteristic enthusiasm that was one of his most endearing hallmarks. Piers had long been a close friend of both Jochen Rindt and Jackie Stewart and, in many people's views, longed to prove himself a worthy rival of these two out on the circuit. 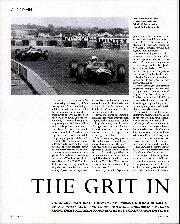 The de Tomas° did not initially look very promising, but it improved steadily with early-season development and Piers was delighted to finish third in both heats of the Daily Express Silverstone International Trophy race, on each occasion following home the March 701s of Chris Amon and Stewart. On the sports car front Courage was also earning a worthwhile reputation. Sharing the car with Jean-Pierre Beltoise, he finished fourth at Le Mans in 1969 and he won the Buenos Aires 200 for Alfa Romeo at the start of 1970 shortly after agreeing to drive for the Italian marque. It seemed that everything was just coming right for Piers and Frank Williams when, as he was moving up the field during the Dutch Grand Prix, he crashed fatally on one of the fastest sections of the Zandvoort circuit. The de Tomaso was totally consumed by fire and this conflagration destroyed any evidence which would have betrayed the real reason for the accident. Piers Courage left behind him a widow, Earl Howe's daughter Lady Sarah Curzon, Sally to all their friends, and a young son, Jason. He also left an enormous number of friends who admired and recalled with tremendous pleasure that tall, debonair and thoroughly good-natured young man who always seemed slightly surprised over the amount of success he had achieved as a professional racing driver. Piers Courage was gregarious, worldly and had a wide interest in other aspects of life outside is chosen sport. He was unfailingly cheerful, optimistic and happy . .
How good was he? Most people who knew and watched him tend to keep an open mind on this subject. He was obviously very brave, but however got behind the wheel of a contemporary competitive car with the possible exception of Frank's Brabham in 1969, which was probably as good as most Grand Prix machines. He was a spectacular driver, undoubtedly, a man who loved oversteer and opposite lock. Some say he was trying a little too hard, others feel he was on the verge of greatness. 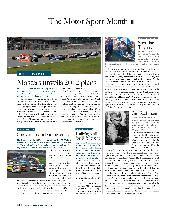 Charlie Crichton-Stuart reflects, "He was the sort of guy who would have been good for motor racing. He was interested in a lot of things outside the sport and he was a gentleman. A gentleman with a professional approach to his racing. Funnily enough, he was a rather clumsy person out of a car. 1 well remember him trying to help pick up something off the floor for a waitress isobar — and spilling his beer right down her low-cut dress! "He was bloody good, in my view: still learning, and far less erratic than ha had been during his final'year. Tons of flair and rather innocent in a likeable way." — A.H.